The funny thing is that movie games have a pretty terrible reputation in the gaming world. Most are quickly put together knock-offs of what could be considered a full game that depend upon riding on the fame of the established franchise. But back in 2004, Spider-Man 2 based off the Sami Rami take on the franchise changed all that. Without reliance upon the movie, Spider-Man 2 as a game was just good. It was a great movie game, a great super hero game and most importantly a great Spider-Man game (considered the best of the character up to this point). But ten years later, the game and movie franchises have both gotten a reboot and that’s not always a good thing. First let’s talk about the story of The Amazing Spider-Man 2. While I applaud the writers trying to separate themselves from the movie slightly be adding in a whole new subplot connecting the scenes between the movie as previous games often do, the beats in this one just feel off. The early beat that introduces the game’s main antagonist also directly messes with the whole Uncle Ben story and what happens to Ben’s killer. It feels about as accurate to the character as Superman killing in Man of Steel. 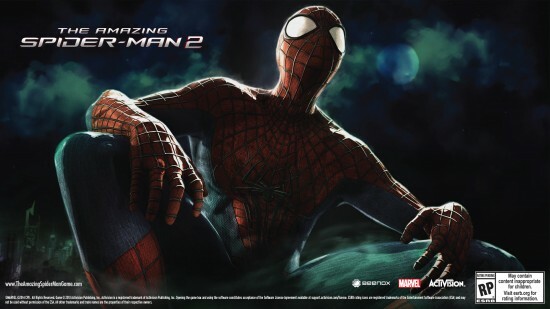 Since The Amazing Spider-Man 2 is headed to theaters in spring of 2014, it isn’t much of a shock that its gaming counterpart will be coming out around the same time as well. From what we’ve heard so far from the folks at Beenox and Activision who revealed the trailer at New York Comic Con is that it will release for the PlayStation 4, PlayStation 3, PlayStation Vita, XBox One, XBox 360, PC, Wii U and Nintendo 3DS. As you’ll see in the press release attached below, there isn’t mention on a split development between the current gen and next gen systems which leads one to believe that the PlayStation 4 and XBox One versions may be just slightly better graphics but with no real change in the gameplay. In the trailer, you’ll also notice a new villain that doesn’t match up to any characters yet announced in the movie. Half way through, you’ll see a very light skinned character, similar to that of a gang member. with tattoos on his body and his face wrapped in a scarf of some sort. You then see a second similar gang member attack another character who is holding a kukri style machete. These may be just some gangs that Spider-Man encounters in the game, or this scarved character may be one of The Amazing Spider-Man movie style analogs of an existing character like Carrion. Normally, we are too busy to be able to come back and do reviews on DLC for game,s but as you saw in my recent review of the Deadpool game, I really enjoyed it and was looking for a reason to go back. That reason came from a download code for the Merc with a Mouth map pack. For $2.99 on the PlayStation 3 or 240 Microsoft Points on the XBox 360, players can download two additional maps for the game’s challenge mode along with two new costumes. Spoiler alert: This DLC pack was actually a preorder bonus from Gamestop upon the original Deadpool release so if you already did that, then you probably don’t need to make this purchase… or read this review… so… sorry! So first off, let’s talk about costumes. For some reason which isn’t ever really discussed, the costume options are only available in the Infinite mode which is a wave based level of the challenge modes. Still not entirely sure why these special outfits are only available in the challenge mode when it is just a skin swap over the character so keep that in mind if you didn’t go through (or like me just didn’t spend a lot of time) in the Challenge mode. The D-Pooly costume resembles Deadpool’s selfstyled MC look while the X-Force outfit represents the grey and black from when Deadpool joined up on Wolverine’s black ops team… but they are only available to the challenge mode. Last year, players got to experience a Walking Dead experience that rivaled the comics with Telltale’s The Walking Dead. Sticking to a traditional point and click adventure style of storytelling rather than an action game or shooter (like AMC’s The Walking Dead: Survival Instinct). Last week on Tuesday for PSN users and Friday for XBLA users, Telltale released a special episode for The Walking Dead. Meant to act as a bridge between season 1 and the upcoming season 2, there is a departure from part of what people loved so much of the first season for. But, the new aspects of the game and its storytelling keeps the hook there for players for the next season. 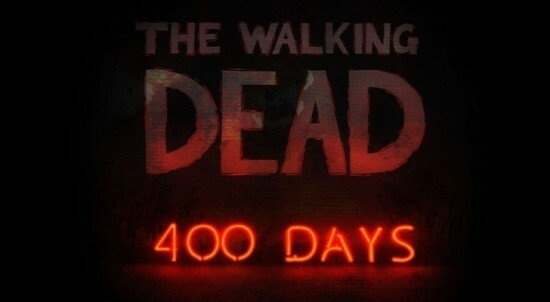 The first thing players will note in The Walking Dead: 400 Days is the separation from the main characters in the first season. 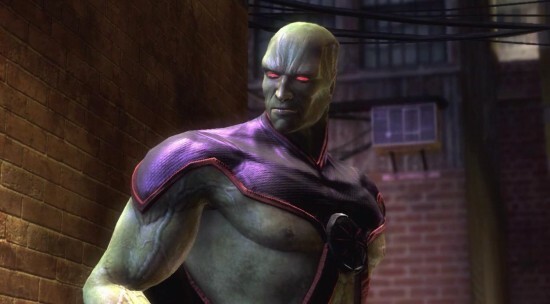 Where there is an appearance from some periphery characters, the majority of those seen in the game are new to both the game and the comics. There is also a group of six characters players take the role of (five characters with their own chapter and then one epilogue) as opposed to only playing for Lee in the previous title. This is where things start to feel starkly different. Part of what was so addictive in the first season of The Walking Dead was following the relationship between Lee and Clementine. In 400 Days though, before you can get too invested in a single character, you move onto the next. The long term results of these actions also remain to be seen as to how these characters will play a role in the second season alongside those who made it through the first. Last year, the Deadpool shinanigans began on preview night of San Diego Comic-Con. A “leak” and fake website hinted that Activision’s next Marvel property was going to be Hit-Monkey. This red herring was quickly proven wrong the next day when Deadpool took Comic Con by storm, announcing himself that he would be starring in a game developed by the team behind Transformers: War for Cybertron and Transformers: Fall of Cybertron from High Moon Studios. From there, Deadpool wrote his own press releases promoting his single player adventure that would have appearances from Wolverine and a few of the more scantily clad X-Men. And what came from Deadpool was something not many would expect, a good game. Deadpool has a lot to overcome as a game. First, it has to take on the stigma of being a licensed title which is something that can still sadly go either way right now. For every Wolverine: Origins or Batman: Arkham Asylum, there is still a X-Men Destiny or Thor: God of Thunder. Deadpool also faces a problem that games like X-Men Destiny and Thor did not have to deal with: Name Recognition. As much as the comics community knows who Deadpool is, he isn’t known by the mainstream community at large. Right off the bat, there is an uphill battle on sales that Deadpool must deal with. But, for those who either recognize the Merc with the Mouth or have someone turn their attention towards the schizophrenic red and black clad, potty mouthed lunatic, there is a very pleasant surprise waiting for them. Way back in 2009, we announced that former Diablo Project Lead David Brevik would be taking the reins of the Marvel MMO from Gazillion. Now, four years later after putting in some time for this edition of the Monday Freeview, it is quite easy for us to see where his influence came in. For those who haven’t been following it or seen the fantastic advertisements on the side of the Flickcast (cheap plug), Gazillion has been working on a Marvel based MMO for quite some time. 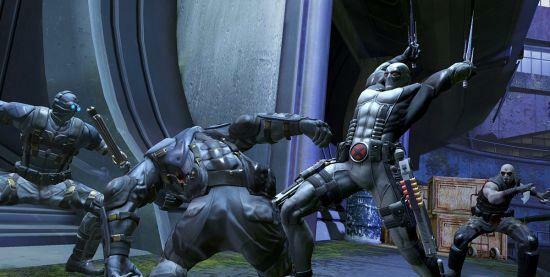 Late to the game by comparison to City of Heroes, Champions Online and DC Universe Online, there was wonder as to how the Marvel MMO would stand out amongst the pack. 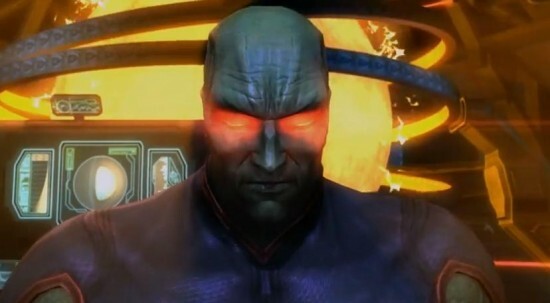 These other games had pretty much done the best they could with an MMO RPG style game where players were able to create their own custom heroes and then play alongside iconic NPCs. The answer from Gazillion was to switch up the formula. 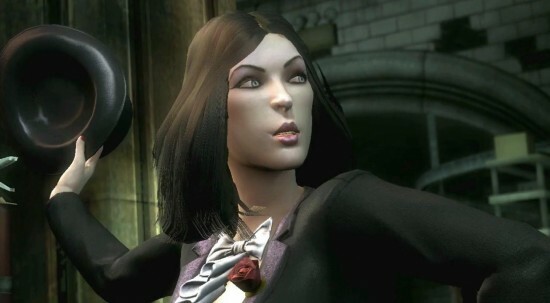 Not only does Marvel Heroes let players take on the roles of various Marvel icons, it completely changes the gameplay as well. Instead of the large, persistent world that MMO players are used it, the players of Marvel Heroes are treated to a series of instanced dungeon crawls much more akin to Diablo. Like we said, David Brevik made his presence known. What this ends up doing is creating a game that could almost be described as an introduction to the Diablo playstyle. With E3 just around the corner, the news cycle doesn’t start a few days early as publishers and developers look to get their smaller bytes out just before the flood gates open. It starts a week out. And with that first wave comes a look at LEGO Marvel Super Heroes. In the horde of stories coming out in the E3 before the next generation of console launches, Traveller’s Tales and WB Games were smart to get us these screens early. 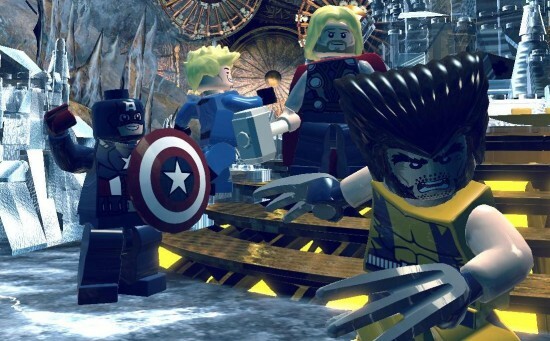 The latest shots from LEGO Marvel Super Heroes shows some characters we already knew were coming to the game like Captain America, Wolverine, Iron Man and Thor in the staple of Marvel locales New York City and the newly announced Asgard. The crazy thing is Asgard and especially its rainbow bridge look pretty darn beautiful in LEGO. But with all the new visual glory coming soon from the PS4 and XBox One, it’s probably for the best we see these graphics now rather than after the Microsoft and Sony press conferences.